I made this card with IO's greetings bottom edgers and leaves dies. 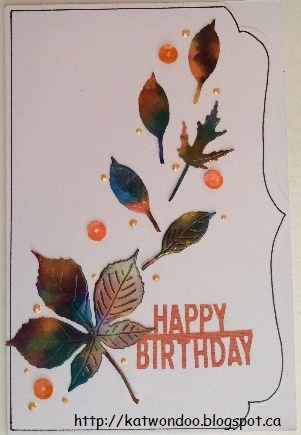 The leaves were made with alcohol inks. I also added some liquid pearls and sequins.